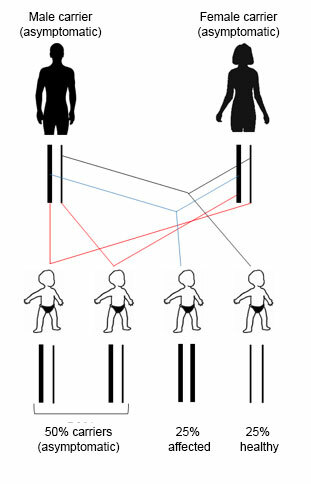 Carriers of recessive diseases are normally healthy people but when both parents are carriers of a mutation of the same gene, their children could suffer from the disease. Genetic diseases cannot be cured, but they can be prevented. SG Preconception is the range of genetic studies from Sistemas Genómicos, which is essential for making decisions regarding different reproduction options, introducing the concept of foresight into reproductive medicine. 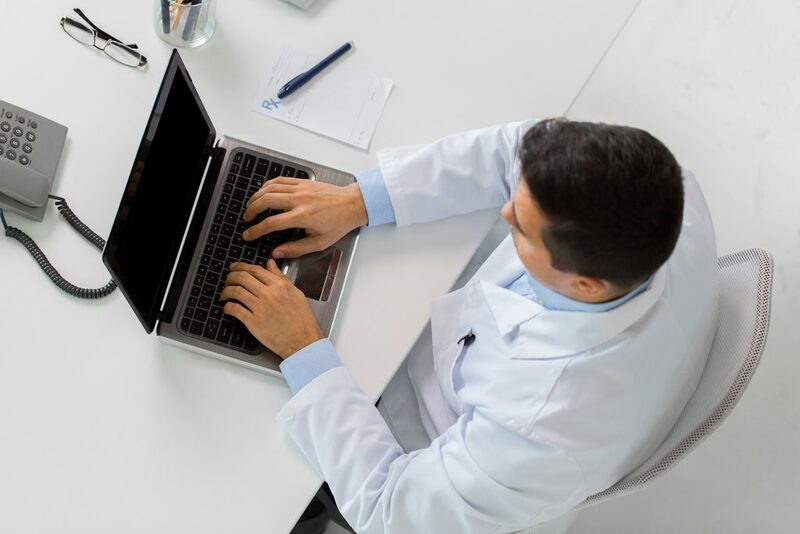 The SG Preconception range detects mutations quickly and precisely thanks to Next-Generation Sequencing (NGS), specifically targeted resequencing. Genetic screening in order to determine whether someone is a carrier of any of 345 hereditary diseases. For such purpose, we analyse 320 genes and 32,749 causative mutations using targeted massive sequencing. Genetic screening in order to determine whether someone is a carrier of any of 363 hereditary diseases. For such purpose, we analyse 299 genes and 7,400 causative mutations using targeted massive sequencing. Any couple, fertile or infertile, who wants to start out on their reproductive project and wishes to know the genetic risk of passing on any of the hereditary diseases on the panel. Gamete donation programmes (eggs and/or sperm). In this case, the donor is studied with the aim of finding the right donor for infertile couples or for women who resort to sperm donation. How are the genes on the panel studied? It is very important to know how the genes on the panel are studied. Specifically, the technique used is Next-Generation Sequencing (NGS). 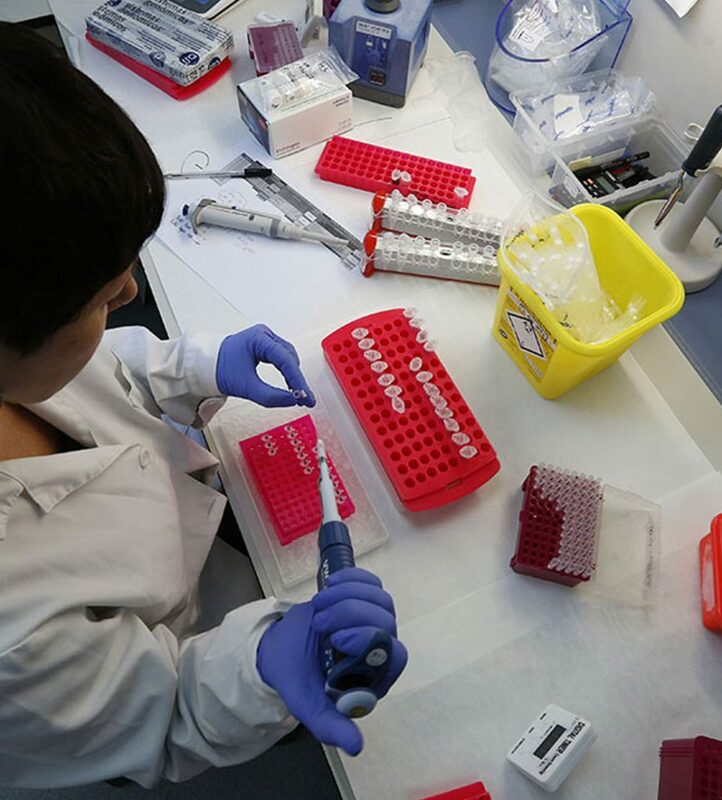 This technique allows us to analyse the sequence of specific genes simultaneously and automatically. In one analysis, we can examine many regions of the genome. Furthermore, there are diseases that cannot be found using NGS technology but due to a high prevalence rate, they cannot be left off the panel. These diseases are studied in parallel using alternative technology. Specifically, these diseases are: Fragile X syndrome, gene FMR1 (TP-PCR); Friedreich’s ataxia, gene FXN (TP-PCR); Duchenne muscular dystrophy, gene DMD (MLPA) and spinal muscular atrophy, genes SMN1, SMN2 (MLPA). On this panel we carry out a targeted study. This means that we examine the specific positions of the genome where we know that there are mutations that have previously been described as pathologies. These mutations are described in the HGMD®: Human Gene Mutation Database. All the mutations on the panel have been previously published. The mutations can be located in different parts of the gene. The outline shows the structure of the human gene with all of its different parts: regulatory elements, flanking regions, exons (DNA coding sequences), introns (non-codifying DNA) and terminator sequences. There are described mutations in all of these regions. All the mutations found must be confirmed by Sanger sequencing, according to international recommendations. Validation by Sanger sequencing is not included in the study. What risk is there for any future children if the couple gets positive results? If both members of the couple are carriers of a mutation corresponding to a recessive disease, there is a 25% chance that their children will be affected, a 25% chance of having completely healthy children and a 50% change of having children that are (asymptomatic) carriers. 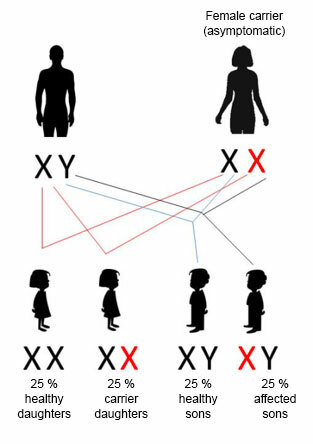 If the woman is a carrier of a mutation connected to an X-linked recessive disease, there is a 25% risk of the children being affected. All those affected will be male. 50% of females will be asymptomatic carriers and 50% will be completely healthy. Regarding male children, 50% will be affected and 50% will be healthy. What risk is there for any future children if there are positive results when gamete donation is required? A genetic study is carried out on all donors belonging to a gamete donation programme. The genetic information from the donor is included in a database at each centre (held by the centre). When a recipient comes, a Preconception GeneProfile® is carried out. The recipient’s data is cross-referenced with data from the donor bank. If the donor has no mutations that would imply a risk with recipient, they will be deemed an ideal donor. A suitability report will be issued so that the donation can take place. What risk is there for any future children if the results are negative? Germline mosaicism. Mutations present in eggs or sperm cells but not in the blood. New mutations in the future child (not inherited). Large deletions/duplications not detected by the diagnosis techniques used.